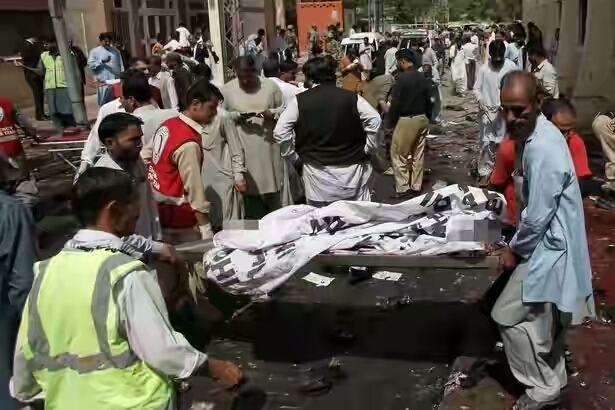 A suicide bomber has killed at least 63 people as they gathered to mourn a murdered journalist in Pakistan. 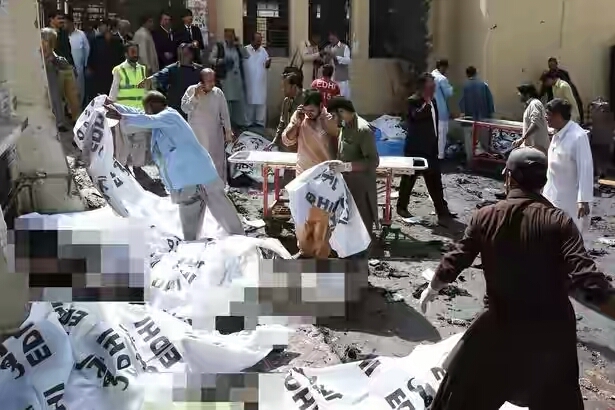 The devastating attack took place at a hospital in Quettain, in the violence-plagued southwestern province of Baluchistan. 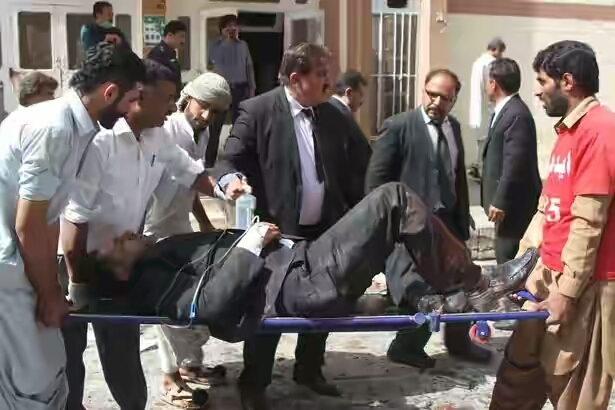 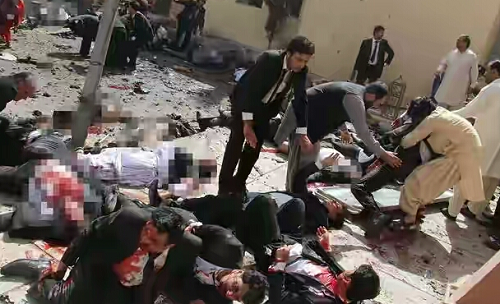 The bomber struck as more than 100 grievers, mostly lawyers and journalists, crowded into the emergency department to accompany the body of a prominent lawyer, who had been shot and killed in the city earlier in the day.